Poor fire planning endangers tenants and your investment. Take time to think ahead with these tips. Fire damage leaves many property owners “up in smoke,” forced to rebound from the damage of loss great or small. The U.S. Fire Administration’s most recent data reports an estimated 380,000 residential building fires ending in 2,530 deaths, 13,125 injuries and $7 billion in property loss. Cooking tops the chart of primary causes (37%), followed by open flame (8%), carelessness (8%), faulty appliances (7%), and smoking (6%). Get inspected– Check electrical wiring, carbon monoxide and fire extinguishing equipment annually. In keeping with the laws of your individual state, make sure the environment complies with fire codes. Not sure? Schedule a local fire inspector visit. Make house rules– Draft a written copy of the dos and don’ts and discuss them with renters. Include guidelines for smoking and grilling. Reiterate that this is to protect them first and foremost. Taking this initial step to make safety a priority will pay dividends in the long run. Fire extinguishers in kitchen– Keep a fire extinguisher in the kitchen. 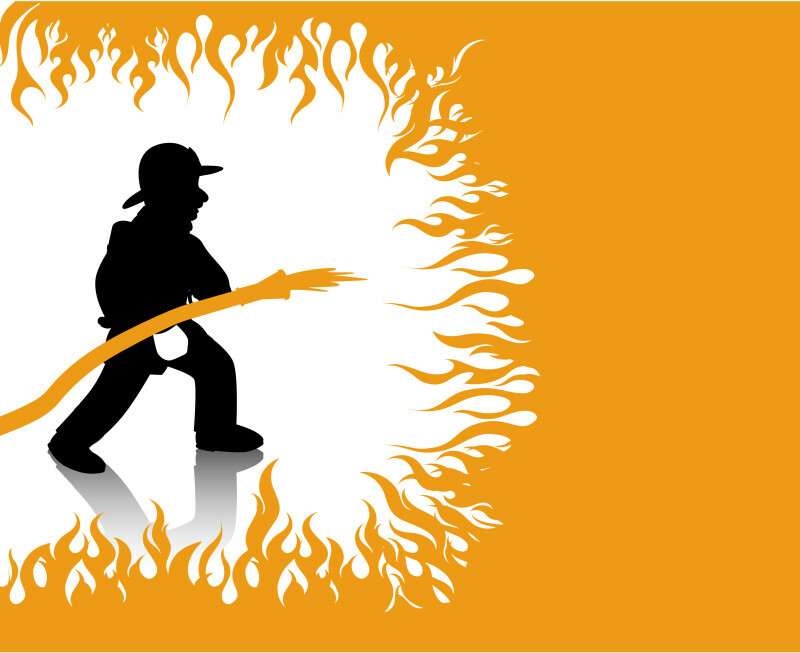 Responding to a minor flame early can save widespread damage. Disaster relief is never pleasant but if caught quickly, fire can be easily restricted. Post an escape plan- There needs to be a visible fire escape plan. Review it with all parties making sure they are fully clear about the procedure. It also helps to include emergency contacts with this as an added safety precaution. Hear the beep where you sleep– Half of home fire deaths happen between 11PM – 7AM, says USFA, sadly when most people are asleep. Functioning smoke alarms are crucial and where they are located is equally important. Interconnected smoke detection placed in every bedroom are recommended so that when one sounds, they all sound. Real Property Management Tidewater handles late night tenant phone calls, including fire emergencies, insurance and damage claims. Join the thousands of rental home owners and investors who trust Real Property Management across the country to manage their rental property.